Celebrities photographed during a tour to one of the national parks of Rio de Janeiro. After the birth of her second child Natalie Portman faded. The actress is very rarely seen at social events and began to spend more time at home. Pictures of the actress with a baby Amalia that stellar mom always takes with her can be found on the web. However, due to the busy schedule of her husband - Benjamin Millepied, the whole family rarely gets out. New Year's holidays for spouses was the ideal opportunity to correct the situation. Natalie and Benjamin decided to give themself a little vacation and with their children went to Brazil. 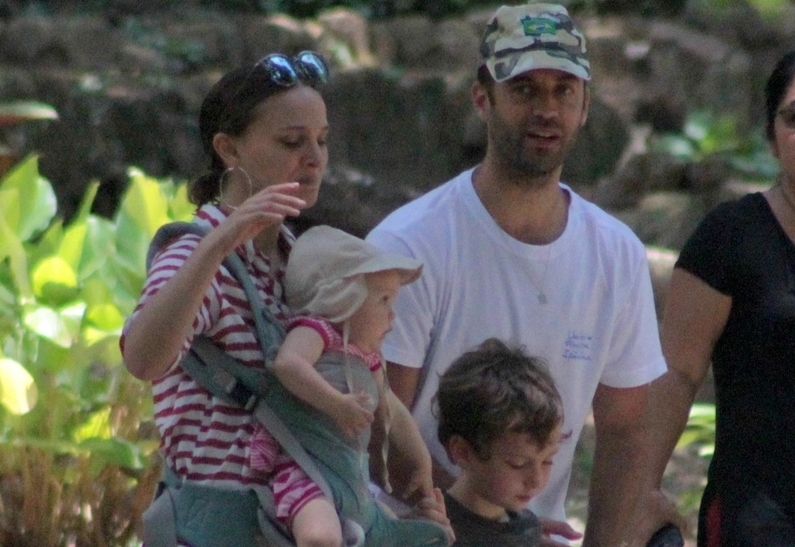 Paparazzi have made a few shots of Portman's family on a tour to one of the national parks. 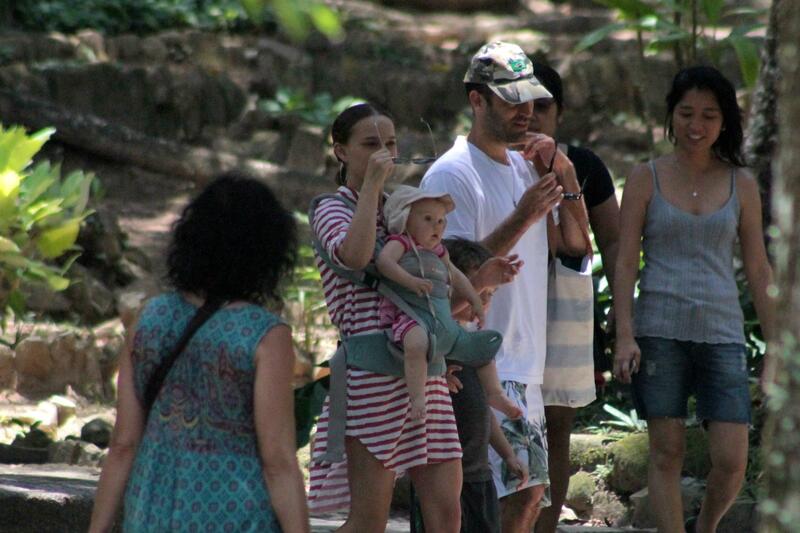 A few days earlier Portman and Millepied with kids visited the Museum of Modern Art in Rio de Janeiro. The actress tries to accustom children to the beauty from the early years. Recall that Natalie Portman and Benjamin Millepied met in 2010 while filming "Black Swan." In December of the same year, representatives of the actress said that the lovers engaged and expecting a child. The second baby was born in March of last year.